I HAVE just taken posession of four very large shiny glasses from the range above. According to the French manufacturer, their unique shape and material ('Kwarx') delivers "an incomparable tasting experience ... for tasting all types of young wine". Thus I found a taste trial between the large bowled, tapered rim, long stemmed glass and an 'ISO' version (International Organization for Standardisation) irresistable. The wine to hand: a chocolatey, spiced 2004 Valdivieso Merlot from Chile [£5-£6, widely available]. 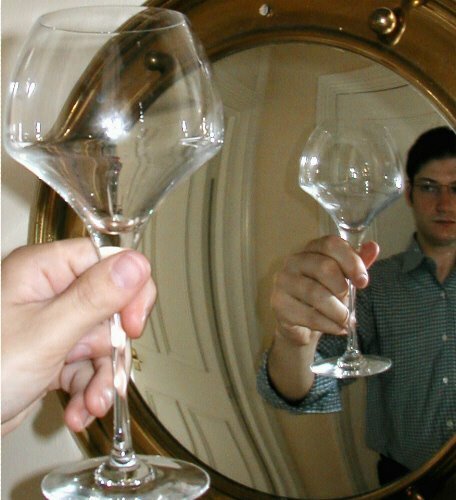 To ensure the experiment was fair, my girlfriend and I took turns to trustingly maneouvre the various glasses to eachother's noses to 'sniff blind'. A few goes later, and the results conclusively favoured the heavy-duty Mikasas - in which it seemed the wine had more energy, buoyancy and fruitiness. A chef's skill is in pleasing the eye as well as the palate however, and I must admit these Geoff Capes scale receptacles are the most hideous I've ever seen. Vial vials. Perhaps I'll warm to them over time. I visited my second vineyard in a week on Saturday, dining at The Leaping Hare at Wyken, Bury St. Edmunds, a boutique, handcrafted operation. Their 2003 sparkling Moonshine [£16.99] was dry with a definite countryside burr; hawthorne perhaps. Exceptionally effervescent, raise a glass (note Mikasa do a sparkling range) to your ear and listen to the bead of bubbles. Sounds odd but I've seen Champenois do just this. The 2004 Bacchus [£8.99] developed lychee aromas since I last tasted it and acted in harmony with Sea Bream and crunchy Samphire. The 2002 Madeleine Angevine was better however, tasting somewhere between an Alsatian Gewurtztraminer, German Riesling and a New Zealand Chardonnay. Exuberant, with conference pear and a thorough aftertaste with a touch of barley sugar. Extraordinary value [£4.99], maturing well and good with precise fishy canapes no doubt. 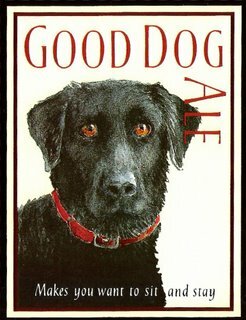 I also took some bottles of their Good Dog Ale home, motto of which is: 'Makes you want to sit and stay'. 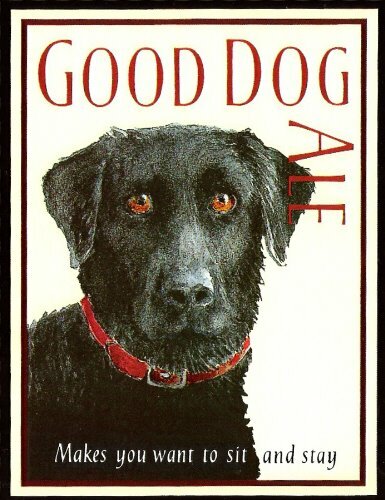 A charming, moreish, cocoa-scented food-orientated beer.